Our weekly mid-week gatherings for high school and middle school students stop during the summer. However, we have various events planned for our students throughout the summer. 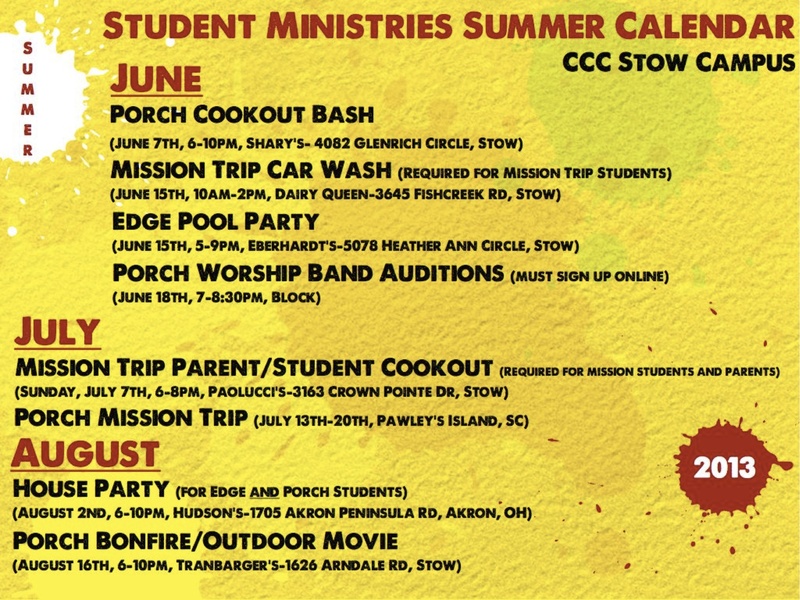 We put together a summer calendar to remind students and parents of what’s happening for students at Christ Community Chapel-Stow Campus.